Are you concerned about investment losses in FS Investment Corporation II (FSIC II)? If so, The White Law Group may be able to help you recover your losses by filing a FINRA Dispute Resolution claim against the brokerage firm that sold you the investment. FS Investment Corporation II (FSIC II) is a business development company (BDC) designed to provide a high level of current income. FSIC II primarily invests in floating rate, senior secured loans of middle market private U.S. companies. FSIC II is sponsored by Franklin Square Capital Partners. According to their website, Franklin Square Capital Partners gives investors access to alternative asset classes, strategies and asset managers that typically have been available to only the largest institutional investors. Franklin Square often raises money for investments through Reg D private placement offerings like the company did for FS Investment Corporation II. These Reg D private placements are then typically sold by brokerage firms in exchange for a large up front commission, usually between 7-10%, as well as additional “due diligence fees” that can range from 1-3%. According to Central Trade & Transfer, a secondary market website, shares of FS Investment Corporation II have been listed for just $7.80 per share. Unfortunately for many investors, it appears that the secondary market price would represent a significant loss on their initial capital investment. The trouble with alternative investment products, like FS Investment Corporation II and other similar BDCs, is that they involve a high degree of risk and are typically sold as unregistered securities which lack the same regulatory oversight as more traditional investment products like stocks or bonds. The White Law Group continues to investigate the liability that brokerage firms may have for improperly selling BDCs like FS Investment Corporation II. 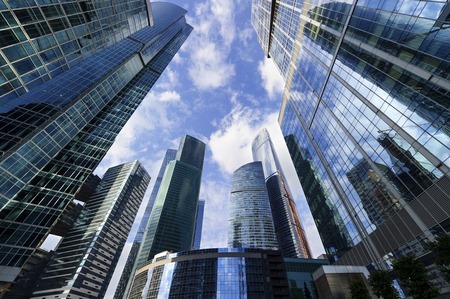 Broker dealers that sell alternative investments are required to perform adequate due diligence on all investment recommendations to ensure that each investment recommendation that is made is suitable for the investor in light of the investor’s age, risk tolerance, net worth, financial needs, and investment experience. However, another problem with Reg D private placements is that the high sales commissions and due diligence fees the brokers earn for selling such products sometimes can provide brokers with an enormous incentive to push the product to unsuspecting investors who do not fully understand the risks of these types of investments or to outright misrepresent the basic features of the products – usually focusing on the income potential and tax benefits while downplaying the risks. Fortunately, FINRA does provide for an arbitration forum for investors to resolve such disputes and if a broker or brokerage firm makes an unsuitable investment recommendation or fails to adequately disclose the risks associated with an investment they may be found liable for investment losses in a FINRA arbitration claim. To determine whether you may be able to recover investment losses incurred as a result of your purchase of FS Investment Corporation II or another Franklin Square BDC, please contact The White Law Group at 1-888-637-5510 for a free consultation.